Holy Thursday Mass: Thursday, April 18th at 7:00 pm. Adoration until midnight. Our Music Director, April McNeely, would like to start a children’s choir. Interested parents should contact her by phone: 510-504-4784 or email: april.mcneely@gmail.com or see April after Mass. 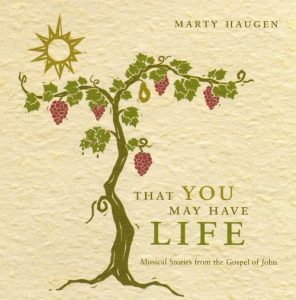 April is also looking for singers, actors, and dancers for a production of Marty Haugen’s musical “That You May Have Life: Stories from the Gospel of John”. Please contact her by phone: 510-504-4784 or email: april.mcneely@gmail.com or see her after Mass. Our Social Justice Ministry welcomes you to pray the Rosary for Peace. Rosary for Peace begins at 9:15 a.m. and takes place in the front of the sanctuary near the alcove holding the Blessed Sacrament. Our Music Director, April McNeely is offering music classes on how to read music. They are held on Wednesday nights from 6 pm to 7 pm in the church. Please join members of the Prayer Tree to pray “Rosary for Peace” on the 1st Sunday of the month. Rosary for Peace begins at 9:15 AM. Is your rosary sitting in a drawer, broken and need of repair? Contact Suzy Arnhart before or after the 10:30 am Mass, and she will gladly repair it free of charge. Contact the Parish Office (510) 653-8631.
in the SVdP basket in the vestibule. To learn more about our St. Vincent de Paul chapter, please visit our Social Justice page. Thank You.